This adorable little panda bear is too cute! 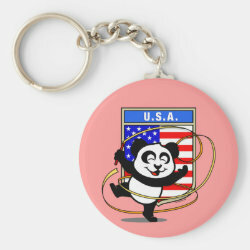 Featured in front of a large flag from the United States of America, this panda is getting ready to do a rhythmic gymnastics routine with a gymnastics ribbon! 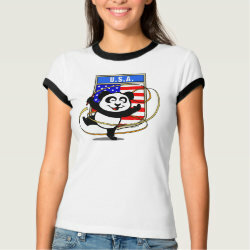 This cute design is perfect for gymnasts and gymnastics fans.